Marx was a popular American manufacturer of toys and trains founded in 1919 by brothers Louis and David Marx. The company usually supplied products at the price niche below Lionel and American Flyer, making it popular with consumers who could not afford those brands. Marx train production started in 1934 with the purchase of Joy Line trains. Marx toys is one of the most recognized, respected and popular names among today's antique toy collectors. Louis Marx, was born in Brooklyn, NY, in 1896. At the age of sixteen, Marx began working for Ferdinand. J. Strauss Company, a toy manufacturer that produced items for Abraham & Strauss Department Stores. His energy and enthusiasm helped him to become a manager by the time he was twenty. In 1919, Marx had a falling out with Strauss. Deciding that it was time to venture out on his own, he established Louis Marx & Co., and set up office at 200 Fifth Avenue, in New York City, which was known as the toy center. Marx started his company with virtually nothing. He had no money, machinery, products, patents, or customers, but what he lacked in resources, he more than made up for in seemingly endless energy and determination. He wasted no time and started contracting with manufacturers to produce toys that he designed. His brother David decided to join him a couple of years later. Louis had the business, designing, and marketing skills, and David was the man behind the operations. The two of them together would grow to be the world's largest toy manufacturer. Marx boxes were imprinted with the slogan, "One of the many Marx toys, have you all of them?" The Marx logo consisted of the letters "MAR" in a circle with a large X through it, resembling a railroad crossing sign. Because of this, Marx toys are sometimes misidentified as "Mar" toys. 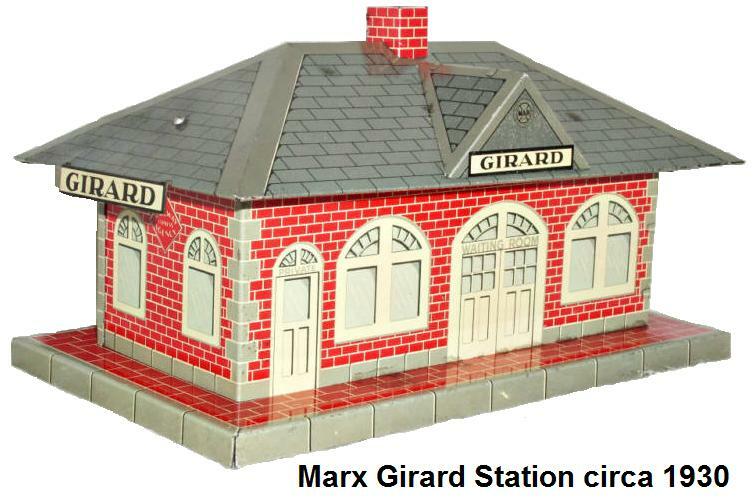 Marx's toys included tinplate buildings, toy soldiers, toy dinosaurs, mechanical toys, toy guns, action figures, dolls, doll houses, toy cars, and after the acquisition of Joy Line, HO scale and 'O' scale toy trains. Marx's less-expensive toys were extremely common in dime stores, and its larger, costlier toys were staples for catalog retailers such as Sears and Montgomery Ward, especially around Christmas time. Although the company is now largely forgotten except by toy collectors, several of its toys remain well known. Rock'em Sock'em Robots, introduced in the 1960's, remained popular for years and has been reintroduced by several different companies. Its last hurrah was the Big Wheel ride-on pedal toy, which was introduced in 1969 and became one of the most popular toys of the 1970's. The company's basic policies were "Give the customer more toy for less money," and "Quality is not negotiable," which made the company highly successful. Initially the company had no product designs and no manufacturing capacity, so Marx raised money by positioning itself as a middle man, studying available products, finding ways to make them cheaper, and then closing a sale. 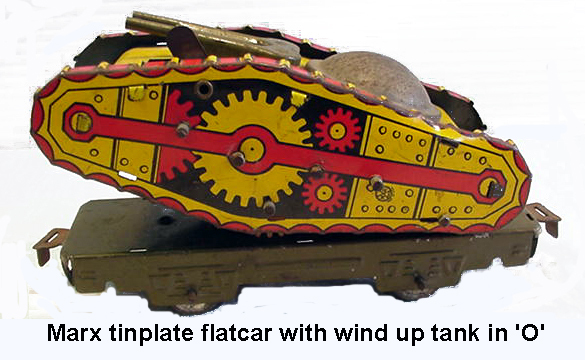 Funds raised from these efforts proved sufficient to purchase tooling for two obsolete tin toys—called the Alabama Minstrel Dancer and Zippo the Climbing Monkey—from toymaker Ferdinand Strauss, one of Louis Marx's former employers. With subtle changes, Marx was able to turn these toys into hits, selling more than 8 million of each within two years. Marx then bought the company it had subcontracted to manufacture the toys. By 1921, they were able to start independently producing toys from their own designs. By 1922, both Louis and David Marx were millionaires. Initially Marx produced few original toys, but was able to predict what toys would be hits and manufacture them less expensively than the competition. The yo-yo is an example: Although Marx is sometimes wrongly credited with inventing the toy, Marx was quick to market its own version, and during the 1920's sold an estimated 100 million of them. Unlike most companies, Marx's revenues grew during the Great Depression. By 1937, the company had more than $3.2 million in assets ($42.6 Mil. in 2005 dollars), with debt of just over $500,000. Marx was the largest toy manufacturer in the world by the 1950's. In a 1955 article, Time Magazine proclaimed Louis Marx "the Toy King," and that year, the company had about $50 million in sales. It was there he boasted about his annual advertising budget of $312.00, something he took pride in, and rightfully so. Marx was the initial inductee in the Toy Hall of Fame, and his plaque proclaimed him "The Henry Ford of the toy industry." At its peak, Louis Marx and Company operated three manufacturing plants in the United States: Erie, Pennsylvania, Girard, Pennsylvania (original factory where the Joy Line toy trains were produced), and Glen Dale, West Virginia. The Erie plant was the oldest and largest, while the Girard plant, acquired in 1934 with the purchase of Girard Model Works, produced toy trains, and the Glen Dale plant produced toy cars. Louis Marx offered his first trains for sale under the Marx moniker in 1934. What was offered that first year was Joy Line sets consisting of old stock, packaged in Marx boxes. That year's production also included the tinplate Union Pacific M10000 articulated streamlined passenger set that used the Joy Line motor. In 1935 Marx expanded its train line considerably as the Commodore Vanderbilt engine was released in both clockwork and electric versions, along with new streamlined passenger coaches and freight cars that were equipped with Joy Line couplers. Marx also operated numerous toy manufacturing plants overseas. Marx also produced and distributed toys in England from 1937 to 1967. Marx continued to enjoy steady growth until the start of World War II, when the factories were converted for the war effort. After the war, Marx came back as the world's largest manufacturer of toys, producing mechanical toys, model trains, toy guns, cars, ride-ons, play sets, and doll houses. The company grew even stronger into the "Golden Era" of the 1950's. By 1955, Marx produced over 20% of all the toys sold in the U.S., and had factories in ten different countries, including Japan, with divisions such as Linemar. Marx also distributed toys produced by manufacturers in Germany, including those from Distler. This may have been pushed upon by toy makers of war damaged countries needing a strong re-start and presence in the US. Marx's marketing strategies included mass production and mass marketing through chain stores, reproducing new toys from basic components and repackaging existing products using television or movie tie-ins. Up until 1959, Marx had resisted the use of a newfangled invention called television to promote his products. After reconsidering, he decided to go after the TV market in a big way. His plan was to reach 27 million kids with a massive television ad campaign of toy commercials over a three-month period, strategically placed during the summer holidays. Exposure to this blitz was estimated to exceed one billion. This exposure prompted Marx to create a company mascot, known to many as Magic Marxie. This campaign helped to make Marx even more of a household name. Marx was likely the last train maker to convert from stamped steel to plastic, in the 1960's, whereas Lionel and Flyer did so in the 1940's and 50's. Marx's principle concern was maximum production and quality at the lowest price. As a result there were endless variations of products. Additionally Marx often did not place catalog numbers on many trains. In 1956 Marx acquired the tooling of Hafner. In the 1960's Marx capitalized on the space toy and robot craze. It produced the Big Loo "Your friend from the Moon" in 1964 and originated the popular Rock 'Em Sock 'Em Robots. In 1963, they began making a series of plastic figurines called the Nutty Mads which included some almost psychedelic creations such as Donald the Demon: a half duck half madman, driving a miniature car. In 1972 Louis Marx sold the company to Quaker Oats Company for $54 million ($246 Mil. in 2005 dollars) and retired at the age of 76. Quaker Oats continued production until 1975. Quaker owned the Fisher-Price brand, but struggled with Marx. Quaker had hoped Marx and Fisher-Price would have synergy, but the companies' sales patterns were too different. Marx has also been faulted for largely ignoring the trend towards electronic toys in the early 1970's. In late 1975, Quaker closed the plants in Erie and Girard, and in early 1976, Quaker sold its struggling Marx division to the British conglomerate Dunbee-Combex-Marx, who had bought the former Marx UK subsidiary in 1967. The complete inventory from the Pennsylvania plant of 700 assembled Marx double reduction geared remote reverse electric motors was sold to the United States Toy Train Company (USTTC) in California when Quaker exited the toy train business. The basic Marx motor was famous for never wearing out and for running smoothly at low speeds. A downturn in the British economy in conjunction with high interest rates caused Dunbee-Combex-Marx to struggle, and these unfavorable market conditions caused a number of British toy manufacturers, including Dunbee-Combex-Marx, to collapse. By 1978 the Marx brand disappeared, and Dunbee-Combex-Marx filed for bankruptcy and was liquidated in 1980. The Marx assets were then liquidated, with many of the patents and molds going to Mego Corporation, another famous maker of dime store toys, and a large number of them going to Canadian toy maker Aurora. The tooling for making the reliable Marx double reduction geared electric motors was sold to Soviet Russia. American Plastic Equipment of Florida resurrected the Marx name by acquiring the company's assets in 1982, and intellectual rights in 1988. By that time, the value of Marx toys and play sets had skyrocketed in the collector markets, which in turn triggered a demand for the toys to be reissued. The rights to some of Marx's toys are now owned by other companies, and some of its former products are still in production. Many of the Marx train dies were purchased by MDK, who changed only the name imprint, and as K-Line produced plastic 'O' scale train cars and scenery using former Marx molds, which it marketed under its own brand name. Marx Toys, Inc., was sold and transformed into 'Marx Toys & Entertainment, Inc. Marx Trains, Inc. produced lithographed tin trains, both of original design and based on former Louis Marx designs. 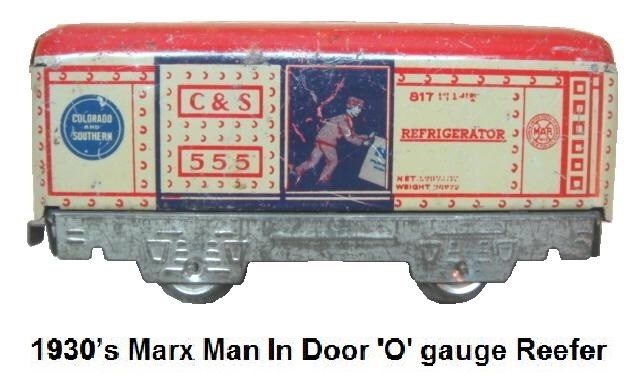 The Marx trademark was the property of American Plastics, and was licensed to James and Debby Flynn of Addison, IL., who made reproduction stamped steel 'O' gauge Marx trains starting in 1993 until 2004. The Flynn's sold the rights to Ameritrains in 2004. Model Power has produced HO scale trains from old Marx molds. Rights to the original Marx Big Wheel are owned by KidsWheels, Inc., and Rock 'Em Sock 'Em Robots is claimed by Mattel. Marx's toy soldiers and other plastic figures are in production today in China for the North American market and are mostly targeted at collectors, although they sometimes appear on the general consumer market, particularly at dollar stores. The Marx name itself has changed hands several times as well. Despite the similar names, neither of the Marx-branded companies of today have any connection to the original Louis Marx and Company. Louis Marx died in 1982 at the age of 85, however his memory long remains in what he has left the world.